Duane Benson over at ProgrammablePlanet.com has a nifty starter project for the Papilio and the B/LED wing that may help some new Papilio users get started on FPGAs. What you’ll need for this project are a Papilio board and the Button/LED Wing (click the links for more info). 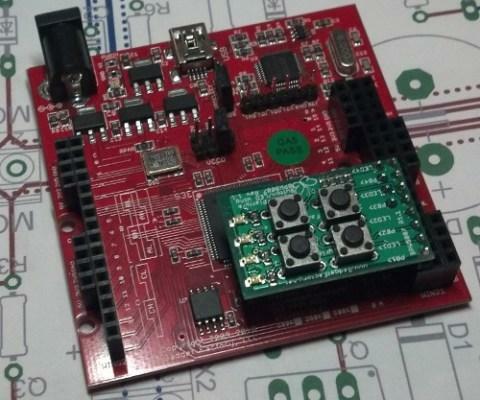 Check out Duane’s full project at the links below, and note that he’s got the a ZIP file containing Verilog source code for this project available as well. Nicely done, Duane. We appreciate your contributions to the Papilio community. Easy-to-follow projects like this are a great place to start! If anyone out there has done this one or any similar projects while learning FPGAs please share with us in the comments. Also, if you have any starter projects of your own, make sure you send them our way! We’re all about sharing the love!